It had happened once before. I had felt emotionally overwhelmed when I had gotten out of that car in Mawanga, Uganda, in the middle of nowhere, when kids started dancing and hugging me for what was to become one of the most extraordinary experiences of my life, to validate the Rowan Project which helps Ugandan kids – orphans or struck by AIDS – to go to school. Three years later, here I was, again, lucky to be part of the “official” kick-off of a Solibad project. This time, we are one hour away from Jakarta’s polluted traffic jam. Welcome to hell. This is a place where children, from babies to teenagers, together with their families, live in a giant dump, where families have built their houses just metres away from where the garbage comes by hundreds of tons everyday, dumped and burned. From morning to dawn, everyone collects whatever can be reused from these mountains of trash. It is a very tough environment, which I was to visit with their children of the new Solibad Bintang (literally: “The Stars of Solibad”) project, part of a two-site program: one in Jakarta, with 12 kids and one in Yogjakarta, with 16 kids. But first, there was a taste of paradise to be tasted. We had agreed to meet with Dominique, the amazing founder of Bintang Kali, a program which helps very poor children in different cities of Indonesia. 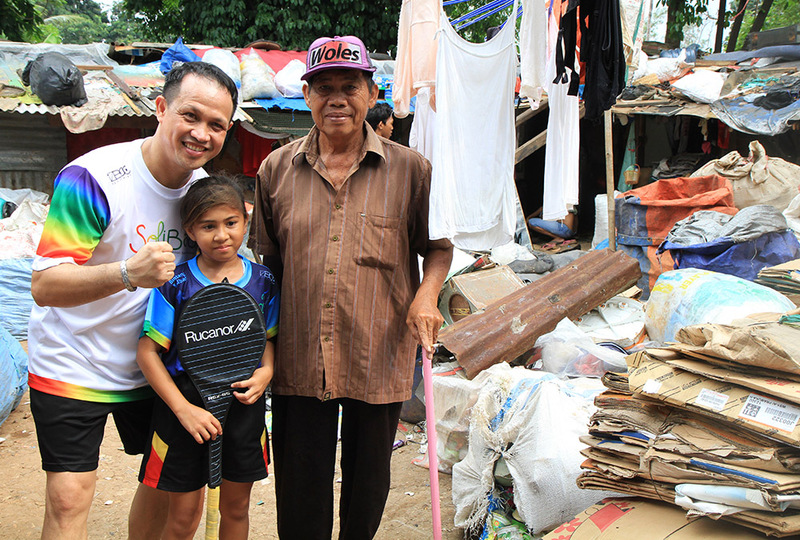 Together with Tri, one of the pillars of the badminton project, we went to the small, 2-court, poorly-lit badminton hall which is 10 minutes away from the dump, hidden amidst small streets. 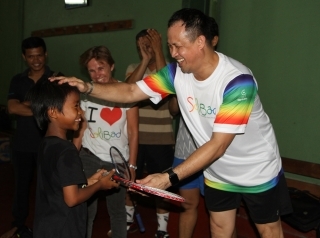 Living legend Rexy Mainaky, our Solibad Ambassador from Indonesia, had accepted our offer to talk to the kids and share his experience. He was so eager to meet them that he actually arrived one hour early. 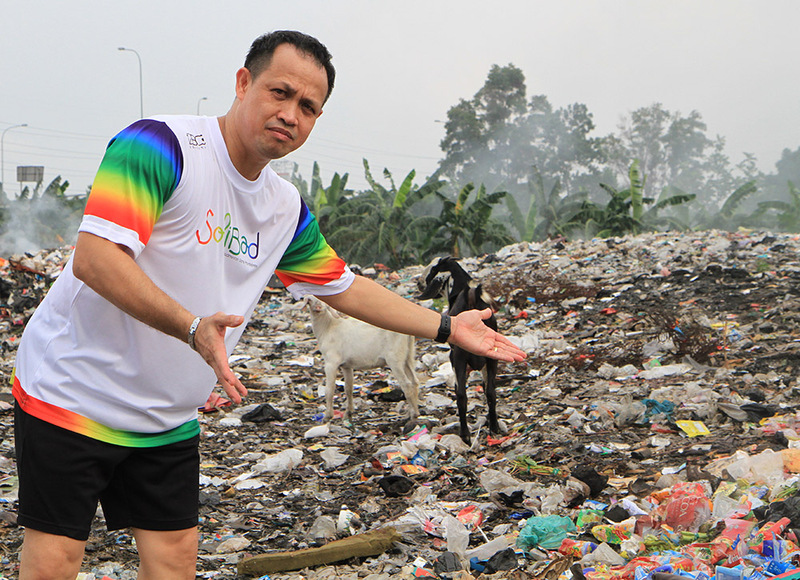 Enough time for him to start sharing some of his experience with the other local coaches, while the kids were still at school – a school that was built within the community, only metres away from the dump. One after the other, they arrived in the hall, put their old or borrowed badminton shoes on, and listened carefully to the first advice given by Rexy, who was all smiles and obviously enjoying passing on what he knows. He explained to us that, when he was a teenager, struggling to make it to the national team, he was living with his aunt, quite far away from his training facilities. Every single day, he would have to wakeup at 5AM to make a three-hour journey to arrive on time for training and then he had to do the exact same journey back every night, with house chores still waiting for him. The result was that often he got less than an hour of sleep at night. 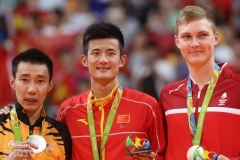 Rexy explained to the kids that life can be tough for a future badminton champion, but that his experience could be taken as an example that nothing is impossible. The 12 kids of the program were literally drinking his words of wisdom. Five of them received racquets from Rexy, who took some time, while handing over their first racket, to make each of them realize that it was not just a racquet, but a tool they should cherish for what it could bring them. These used rackets had been collected from French badminton fans during the French Open Superseries and were to find a new life in the hands of these amazing kids. After a training session where Rexy took some time to give them some tips and wore a big smile on his face as he made them sweat like crazy, they were each given tailor-made shirts with the words “Bintang Solibad” on the back. And here they were, all wearing their brand new shirts, holding our hands and taking us to where they lived, a few minutes away. This place can’t really be described by words. Each house is a tiny wooden structure with giant dirty white bags at the entrance: their work tools. The whole community recycles garbage; that’s what they do for a living. That’s what little 8 year-old Mansoor does before going to school, and after school, and anytime he is not playing badminton. No wonder this activity creates hopes and dreams in that little kid’s mind. And he is good – he learnt the strokes in only 4 months of weekly practice and already hits hard and well. Mansoor, more than anyone, finds the motivation in his parents who, like him, spend hours and hours in a putrefying mud of plastics, ashes and very smelly garbage. 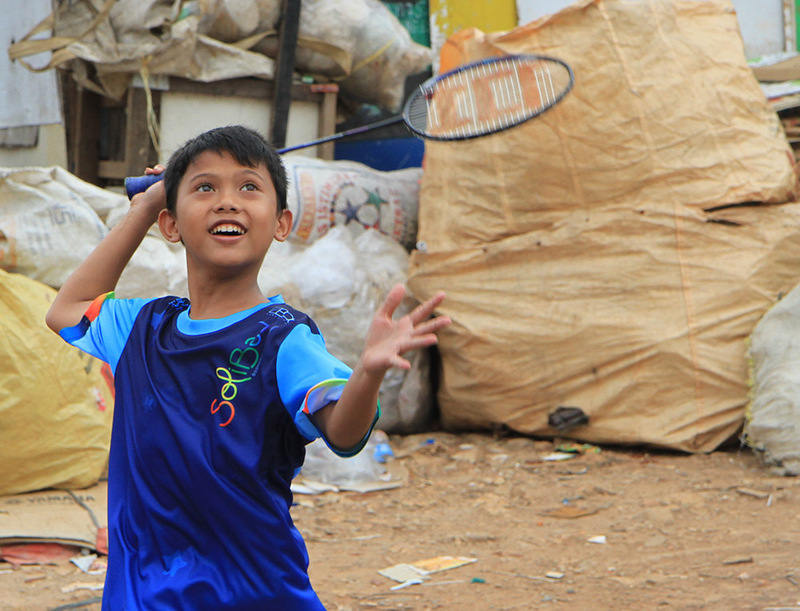 He is fortunately the only kid of the 12 in the Jakarta program who actually collects garbage. The others, however, all live in that giant dump, with little prospect of a proper job. 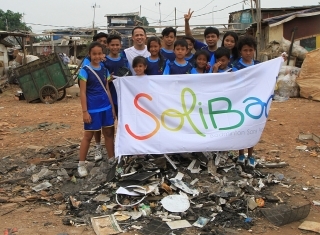 They are most likely meant to go back there and work as garbage recyclers are soon as they finish school, even if some of their parents are hoping for a better fate – one that the Bintang Solibad project might bring them. 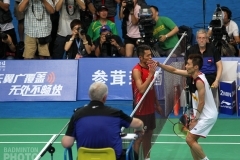 Rexy, together with the other coaches of the program, were following the kids, going from one house to the others, greeting and talking to the parents, who could have never imagined that the legend of badminton, the 1996 Olympic champion, would come and visit them like that, without prior warning. And Rexy took the time, talked with the moms, dads, even grandparents as some of the parents were out in the dump working at the time. All of the families had twinkles in their eyes when they saw their little ones with their new rackets and new uniforms. Most of the villagers – I estimated the “garbage village” to host 200 to 300 families – were looking at us, a joyful badminton caravan, with astonishment and huge smiles, waving at the ever-joking Rexy and the kids. Then we played badminton, in the village, using the Solibad banner as a net. Each of the kids got to exchange shuttles with the king, who would hit behind-the-back and between-the-legs trick shots to everyone’s delight. First, in the middle of the village. Then, on the garbage dump itself. Not only for the symbol, but because this is really where these people go, what they do, what they step on. Goats were still there when we arrived, chased by Rexy, who once again showed no kind of disgust, just his smile and warm attitude, while one kid after the other would hit with him, struggling to keep their balance in that combination of everything Jakarta’s inhabitants had rejected. It was then that I realized that this was both hell and paradise, in the same place, same moment. I realized what a crazy project Bintang Solibad is, and how lucky we were that we might just be able to make a difference for these kids. My throat was dry, my eyes watery. With this huge paradox of the world’s worst living conditions, and these amazingly smiling faces, not one of the kids was showing signs of sadness. They were proud to show their daily living conditions to us. They were just happy. 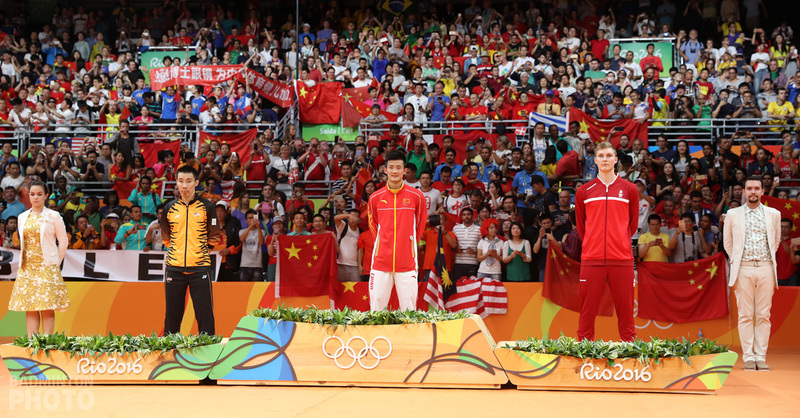 For a few minutes, maybe, but deep inside, I knew that we will do all we can – with the help of thousands of badminton fans and clubs, so that these few minutes turn into hours – when they practice – and maybe a lifetime, if things go as planned. This is what we hope for – and this is why Dominique’s plan is so extraordinary. 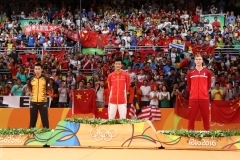 Indonesia is a land of badminton. There are opportunities. Rexy mentioned that to the kids. If they work hard, if they practice hard, they might be able to make a living out of badminton. And help their families. Either by being top players, for a select few, but most realistically, for the majority, by entering company teams at a lower level. 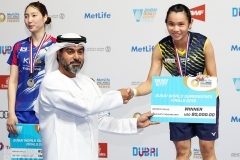 Some could also become badminton coaches, or umpires (some of whom are being helped financially) and hence, making a living. Leaving this hell thanks to the tool badminton. Thanks to Dominique and the coaches’ amazing vision and dedication. Thanks to Rexy, who did make a difference, by showing these children that hope must be kept alive, no matter what. He is living proof of that and if he made it with also a difficult path to glory, they could too. Just as I had in Mawanga, Uganda, three years earier, on that morning in Jakarta, I made a promise to myself to continue the hard work Solibad does to contribute to make their daily life a little sweeter. To help them keep smiling. To turn hope into reality. To make a difference because, they, more than anyone in the world, deserve it. 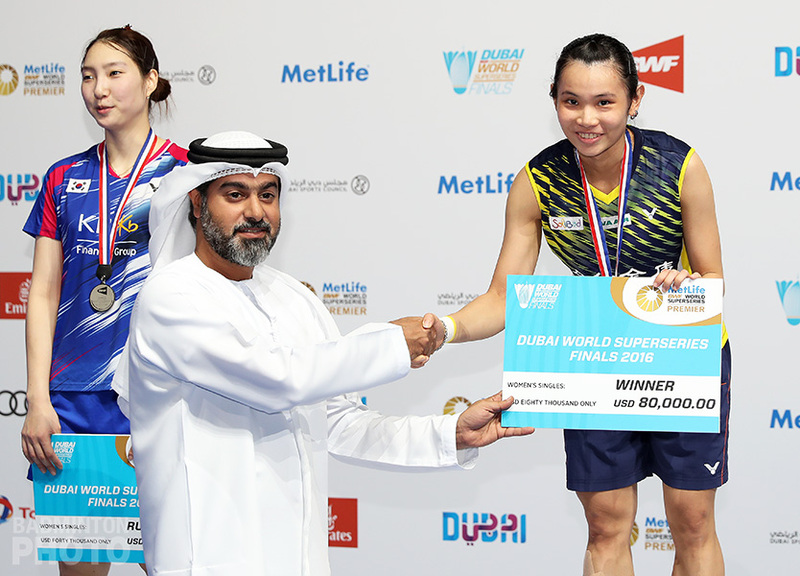 As always, I will get back to my daily life, with the humble thought that we – badminton people, reporters, photographers, players, and anyone involved in the tour – should not complain about the little things. We are so fortunate and we owe it to these kids to be happy and appreciate every little thing we have. This amazing project was also made possible thanks to the great help by my Thai friend Pornchai and his parents – I would like to have a special thought to them, who will hopefully come to visit the kids soon. Great article Raphael – lovely to read what Solibad is doing. Well done to Rexy too – what an inspiration for those children! Good luck to you all and keep up the good work.